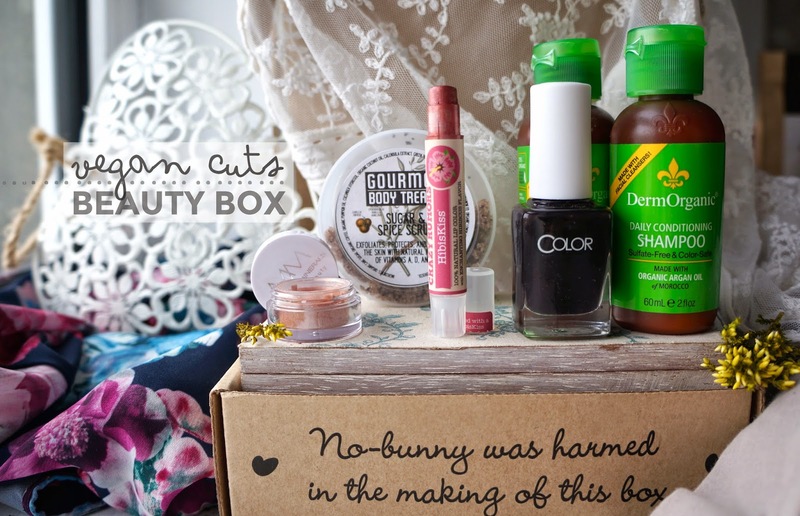 Today's post is about the Vegan Cuts Beauty Box. 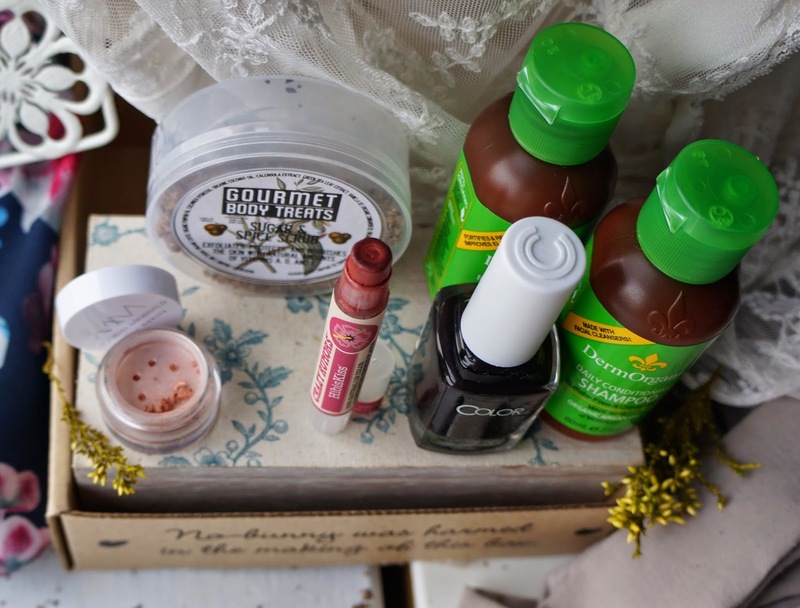 Vegan Cuts Beauty Box is a monthly subscription service; the perfect way to discover cruelty-free brands and also a little surprise in the mail (because who doesn't love opening a box of goodies)?! The boxes contain 4 - 7 products and cost $19.95/ month (with free shipping to the US, $8 shipping to Canada and $15 shipping internationally). One major plus point to mention before I begin my review is the fact that the beauty box is the perfect size that it fits through the letter box (no need to wait in for the postman)! I have been on the lookout for vegan keratin-containing shampoo and conditioner for a while now and this one fit the bill perfectly; working together, the shampoo and masque repaired the quality of my hair after just one wash and made it a lot easier to brush (my hair is almost waist length...but thinking of getting it cut short soon)! 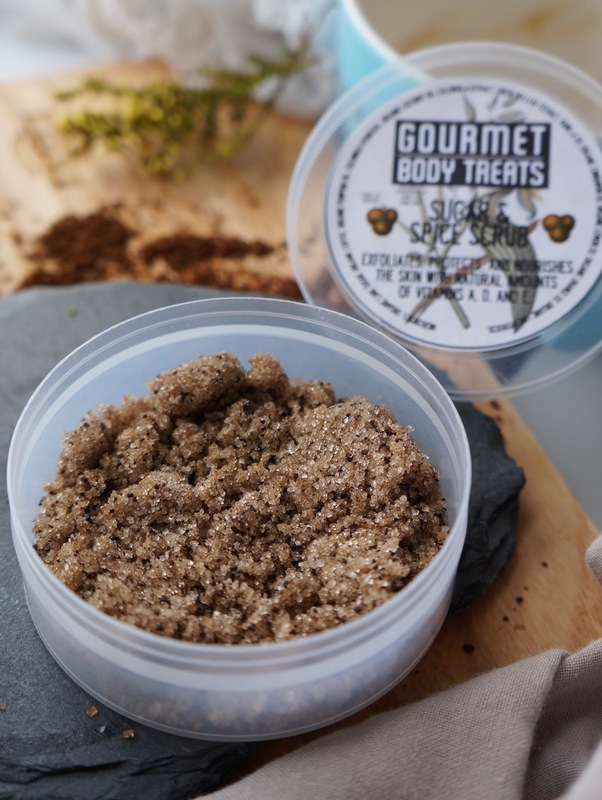 I've used this scrub twice now in the shower and it leaves my skin so smooth and hydrated thanks to the natural ingredients; it also has a lovely lemony scent! I love love love this product!! 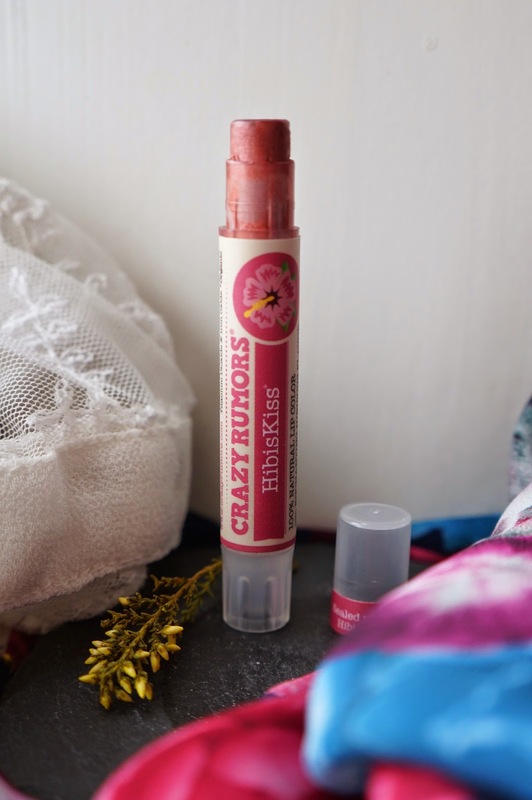 It has the perfect creamy texture, is so easy to apply, is a lovely warm corally red colour and smells uh-mazing - the smell/ taste reminds me of the parma violet sweets I used to love as a child. I also love the pretty packaging! I love dark nail varnish so I was so happy to see this colour in my box! When you look at the bottle, you can see a purple tinge but from far away the colour looks black; on the website, the colour is described as a 'dark, rich shade of violet'. Once painted on my nails, it appeared black but in the sunlight you can see the purple come through (also, the purple colour will be stronger when painted over white nail varnish)! Never the less, this is a great nail varnish and the consistency is thick enough that you only need one coat but thin enough that it's not gloopy! I am also a big fan of neutral/ shimmer eye shadow - I love building up a light smoky eye with shades of light brown and glitter copper colours, just like this one! This eye shadow blends out so easily and is subtle whilst still being highly pigmented so a little goes a long way! On the website, the colour is described as being warm apricot and rose pink. Overall Review, Price Breakdown etc. I think it is safe to say that this box is definitely worth the price, especially with most of the products included being classed as high end. Even with shipping internationally, the total payment price would come to around $35 - around £22 - which I believe is still a great price for the products you are receiving. Also! If you buy before the 28th Feb, you can get $10 off using the code 'JANBEAUTY'!